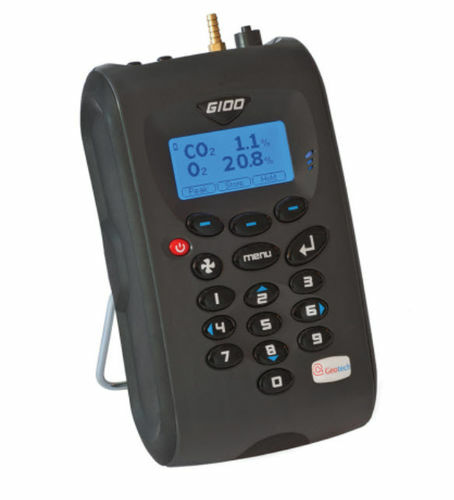 The G100 is an easy-to-use, handheld CO2 analyser with increased accuracy in the 0-20 percent range and a bright, easily read display. Readings are stable thanks to inbuilt moisture removal. Timesaving twin-probes check incubator top and bottom temperatures and difference simultaneously. Increased memory holds 1000 readings. Options include O2 and/or RH analysis, temperature probes, data logging, and USB-link software to download data, analyse and export it.